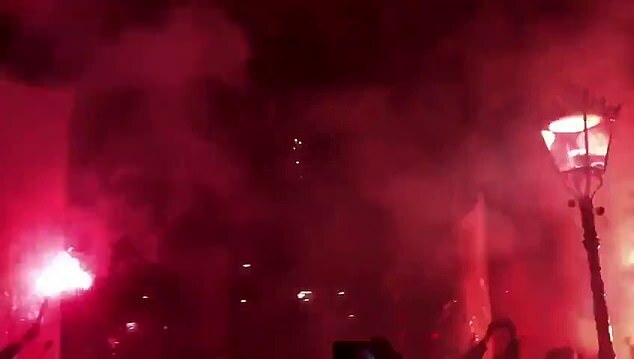 Amsterdam was the place to be on Tuesday night as thousands of Ajax fans celebrated their side’s progress to the Champions League semi finals. The Dutch side, who beat Real Madrid in the last 16, claimed another major scalp in the quarter finals as they won 2-1 away to Juventus, progressing 3-2 on aggregate. Supporters partied long into the night, with videos posted online showing how exuberant and widespread celebrations were in the capital of the Netherlands. 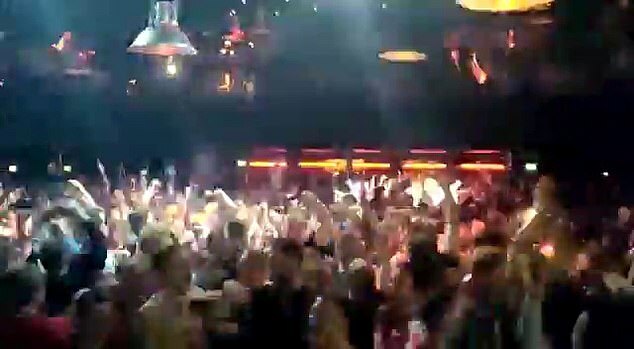 One video, posted on Twitter by Dutch television channel AT5, shows Ajax-shirted fans partying in the huge Marktkantine night club at 2am. 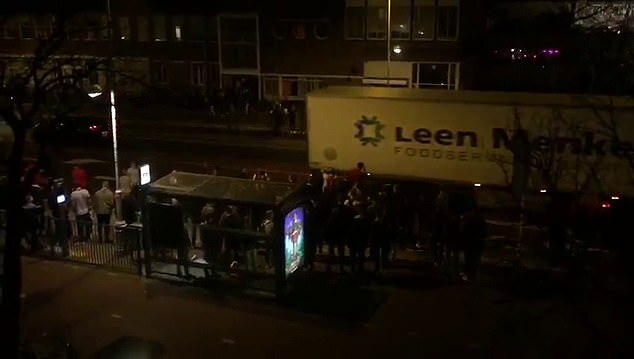 The fans, many wearing the club’s kit, can be heard chanting over the thumping music as they celebrate the Eredivisie side’s achievement. 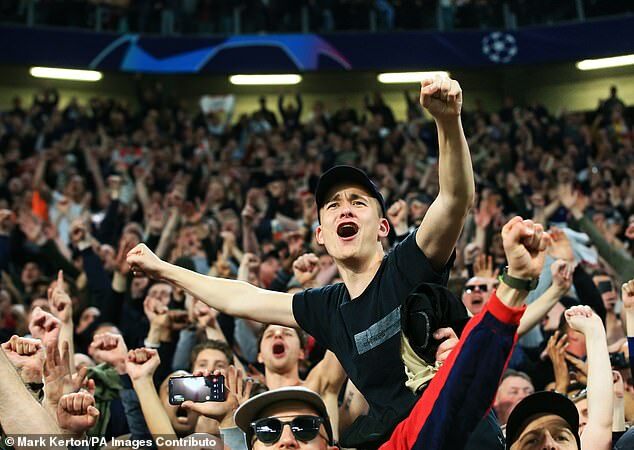 The scenes are reminiscent of England fans during the 2018 World Cup, where huge scenes of celebration, partying and beer-throwing became commonplace as Gareth Southgate’s men – like Ajax – made an unexpected run to the last four. 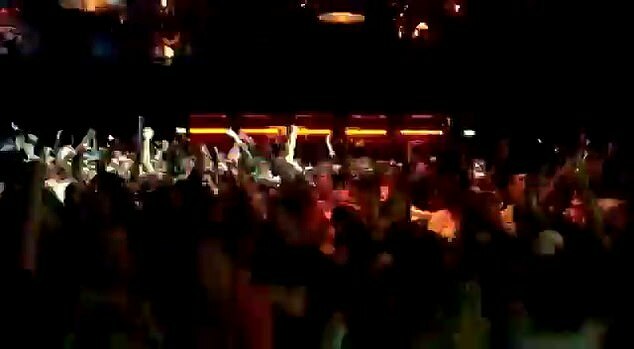 Other scenes of celebration saw fireworks and flares set off in the middle of the night in Leidseplein square, in the centre of Amsterdam. 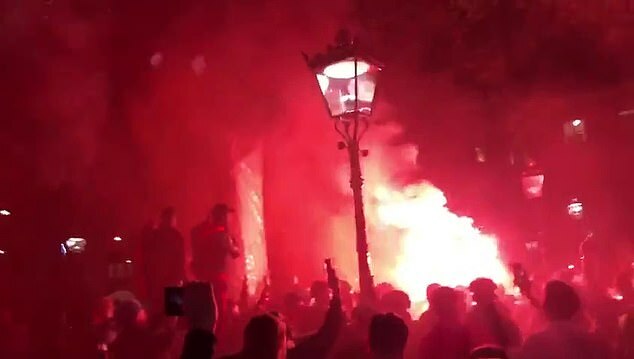 Videos show supporters chanting and cheering as the pyrotechnics – all in Ajax red – light up the night sky. 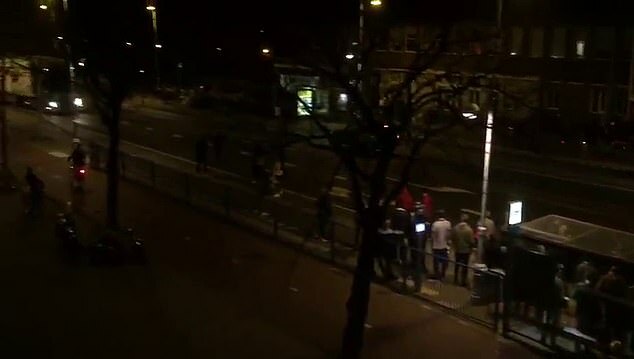 Celebrations spilled out onto the Jan van Galenstraat, the main road for cars and vehicles through Amsterdam, with supporters seen trying to attract motorists by clapping and cheering. Several of the drivers in passing vehicles respond by honking their horns and waving flags out of the window – even some of Amsterdam’s many cyclists join in the party atmosphere by ringing their bells. 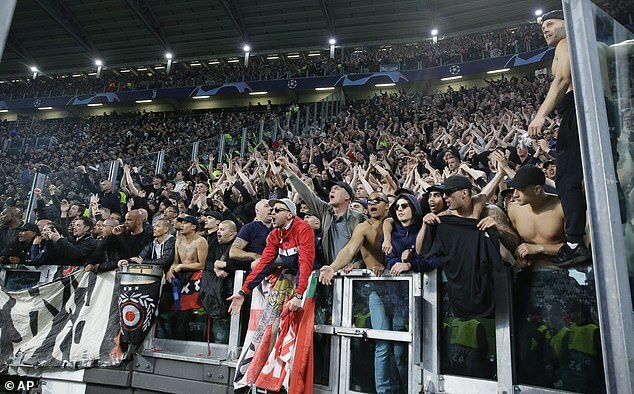 There were also huge celebrations in the Juventus Stadium in Turin, with players and fans remaining long after the final whistle to bask in the stunning achievement. Having gone behind to a Cristiano Ronaldo header, Ajax responded quickly through Donny van de Beek, before captain Matthijs de Ligt sealed the win with a powerful header of his own. Ajax will play the winner of the all-Premier League tie between Manchester City and Tottenham for a place in the final at the Wanda Metropolitano in Madrid.